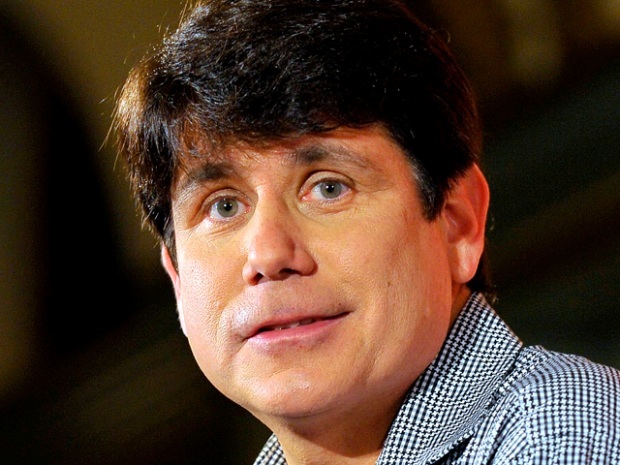 The Blagojevich petition was filed with Justice John Paul Stevens earlier this week, asking for a halt in the court proceedings until the Supreme Court rules on the so-called "honest services" law under which Blagojevich was charged. Stevens Friday asked prosecutors to file a response by May 28. The move is considered standard procedure, but the case abounds with subtle ironies. Justice Stevens is of course from Chicago, and no doubt has intimate knowledge of Chicago and Illinois politics. While prosecutors have been asked to file a response, it would actually come from the office of the Solicitor General, who is of course, Elena Kagan, the woman nominated by President Obama to replace Justice Stevens when he retires from the Court at the end of the current term. Kagan has recused herself from court matters, however, and Neal Kumar Katyal is now acting Solicitor General. In their filing, Blagojevich's attorneys refer to the current atmosphere as an "unreasonable march toward trial," which they allege has created an "array of constitutional violations. Petitioners do not know if the honest services counts will remain at the end of trial," writes defense lawyer Sam Adam. He argues Blagojevich's request for a 30 day delay would inconvenience neither prosecutors, nor the court Judge James Zagel has previously ruled that the trial can begin as scheduled, noting that the honest services issue will certainly be clear by the time proceedings end many months from now. It is only at that time, he says, that the jury will be informed which laws they are to consider in determining the former governor's guilt or innocence.